What's the difference between dial test indicators and dial indicators? If you own a dial indicator, then you are mostly doing comparative measurements. Dial test indicators excel at consistency measurements. You can add a dial indicator to your tool box to help you measure part surfaces in either one or two dimensions like height, flatness, or roundness. If you attach the test indicator to a height stand, you can move the stand freely on the surface plate. You can even combine dial test indicators with a V-block to test for roundness or runout on cylindrical parts. Dial test indicators are also well suited to ride over irregular surfaces. If you own a lathe, then is one of the tools you will most definitely need in your shop. 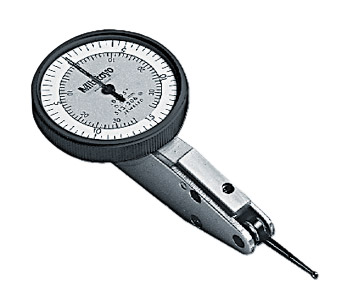 Dial test indicators from all leading manufacturers: Brown & Sharpe, Mitutoyo, Mahr Federal, Fowler, Starrett, SPI and more. Long form certificate of calibration available for gages and precision hand tools from our in-house calibration lab.